The rumor mill had already told us most of the things we wanted to know about the Nokia 6 2018 and now, the phone has been unveiled officially! Much before expected, the Nokia 6 2nd Generation has now been officially announced by HMD Global in China. The phone doesn’t exactly fall in line with phones expected to launch in 2018 or even the ones which launched during late 2017, with it’s 16:9 screen, a nearly identical outer shell as the last year’s Nokia 6 and the lack of dual cameras. It, however, checks nearly all boxed to ensure it still comes as a pleasant surprise to buyers, at a great price-point. First off, the 2nd Generation Nokia 6 comes in with a major upgrade in terms of hardware. The new device features a Qualcomm Snapdragon 630 processor which is a major upgrade over the Snapdragon 430 in the first-gen model. The RAM, too, has been bumped up to 4GB from 3GB previously. The smartphone also gets a new 64GB storage option alongside the base 32GB. 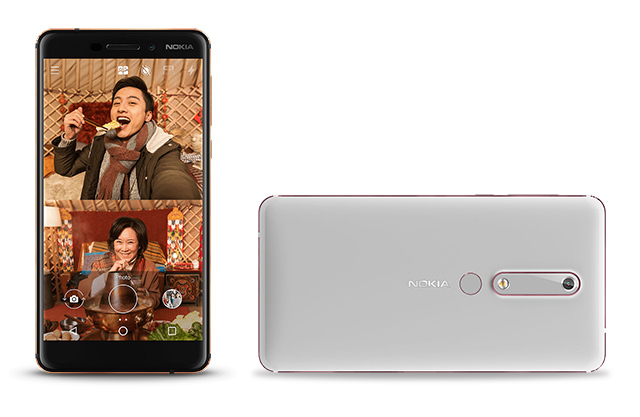 While there are no specification changes in terms of the camera, the new Nokia 6 acquires Nokia 8’s “Bothie” mode. The sensor configuration is same – 16-megapixel on the rear and 8-megapixel in the selfie camera. The screen on the second generation is also the same as the last one. It’s a 5.5-inch full HD and Nokia’s decision to stick with a 16:9 is intriguing as the company has not talked much about it. A major apparent change over the earlier Nokia 6 is the absence of a physical home button. On-screen navigation buttons now replace the capacitive keys while a dedicated fingerprint is now located at the back, beneath the camera module. Despite a more or less carried over design, new colors with iconic Nokia accents (bronze-on-black and cherry chrome-on-white) make the device eye-catching. 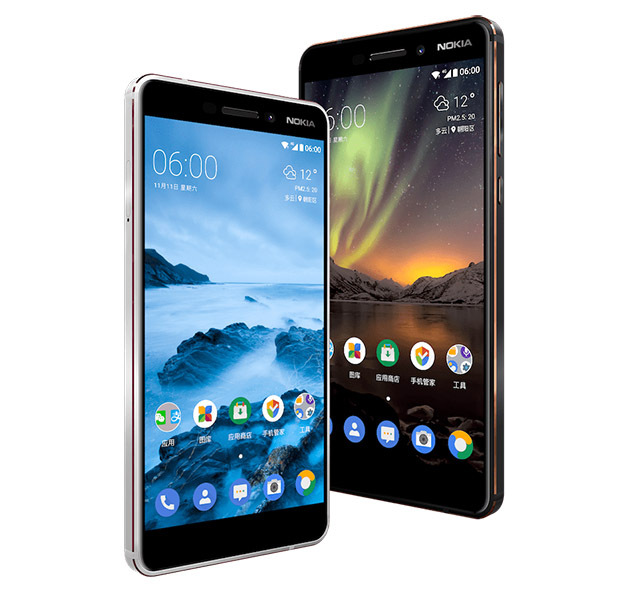 Software-wise, the updated Nokia 6 runs stock Android version 7.1.1, but HMD had promised a taste of Oreo for the device soon. The Nokia 6 2nd Generation is currently exclusive to China and there is no word on global availability. It raises hope that Nokia could be mulling an 18:9 display variant, which we saw recently certified by TENAA. In terms of pricing, the 32GB variant of Nokia 6 2nd-gen is available for ¥1,499 (roughly Rs 14,600) while the 64GB model will cost ¥1,699 (approx Rs 16,600). Chinese e-commerce website, Suning, had been more than thirsty to reveal details of the anticipated mid-ranger. Only a couple of days ago, did we witness the retailer teasing a plausible release today i.e. 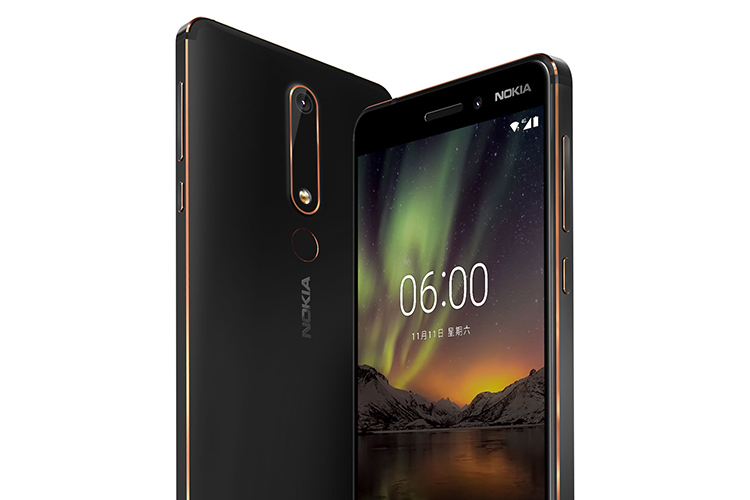 January 5th and had listed Nokia 6 (2018), revealing details on all counts even before the official launch. A stark resemblance to the official press images and official sale on Suning leaves room for suspicion that the early reveal was most likely to be a PR gambit.